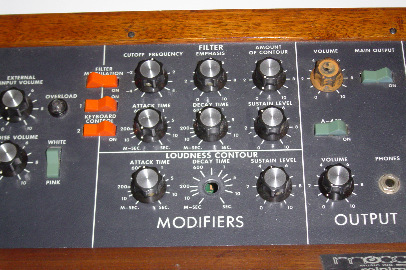 According to former PM drive personality (PM drive - 1988-89), Alan Peterson.." the old MiniMoog synthesizer from the WHEN main production room has been relocated to near Washington DC and now is in a slow process of being restored." 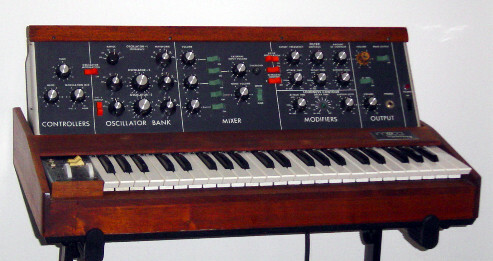 Alan says, "When I made it to WHEN in mid-1988, the Moog had been unplugged and idle for some time. No one by then was sure how to use it and the sounds it made were considered quaint and quite obsolete. 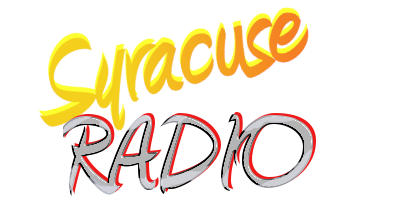 I asked Roy Taylor to repatch it for me and it went back into active service. Some months later, an Ensoniq "Mirage" sampling keyboard arrived and again the Moog was mothballed... as was I in April 1989. 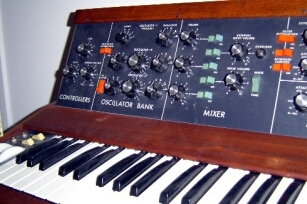 "The synth and other gear came available around the time of the Park/Cox transition in the late 1990s. By then, lots of surplus or unusable gear was being written off and/or ditched. The Moog was back in the bomb shelter, filling with dust and spiders. They were glad to get rid of it, and I was equally glad to accept it." Inside the cabinet, Alan found circuits caked with dried coffee spills. A few razor blades were shorting out across the keyboard rails and dozens of webs filled empty spaces. After a major internal cleanup and buffing of the keys and cabinetry, the synthesizer is only somewhat functional today. "The oscillators are way out of calibration and don't play in tune, and one control is missing from the front panel," says Alan. "This is going to be a long-term project when I can get to it." Don't bother asking Alan if it's for sale. Classic Moog models are in high demand these days by dance remixers, and the old WHEN synthesizer is now comfortably part of Alan's home electronic music lab. Dec. 2016 Update - Alan says: The offer was just too good. All that remains of the WHEN Mini Moog is now but a memory of once having owned it. Farewell old friend.